Hawk at hunt test (photo courtesy of Milan Skrecek). 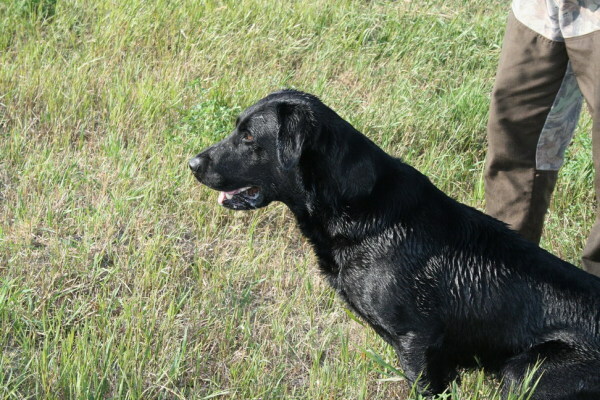 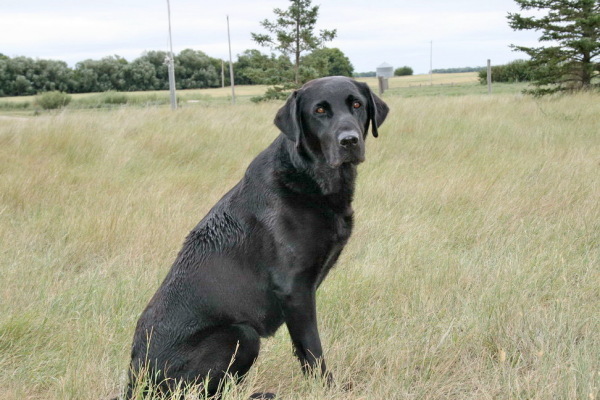 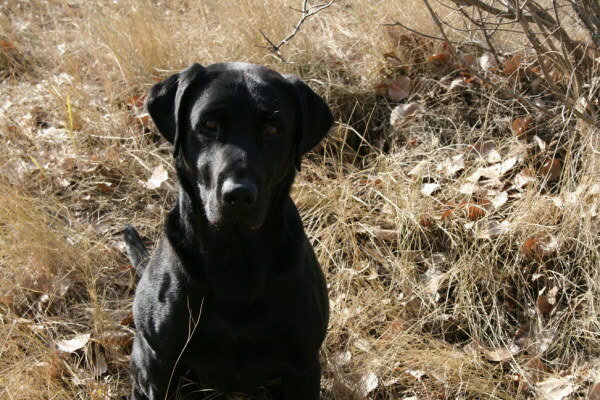 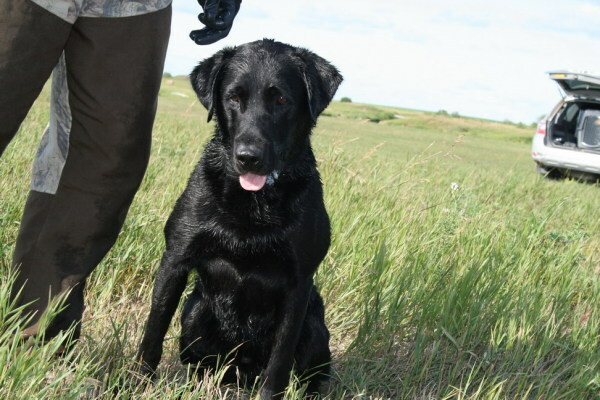 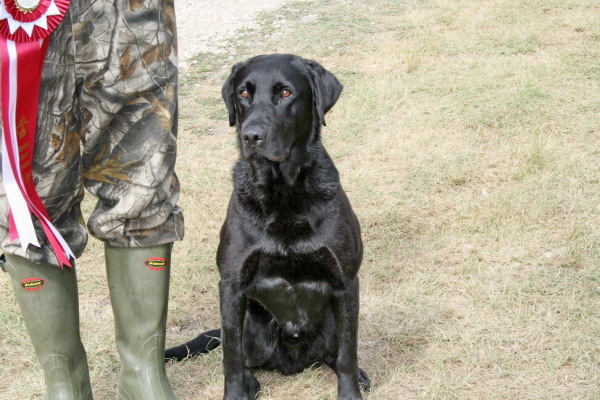 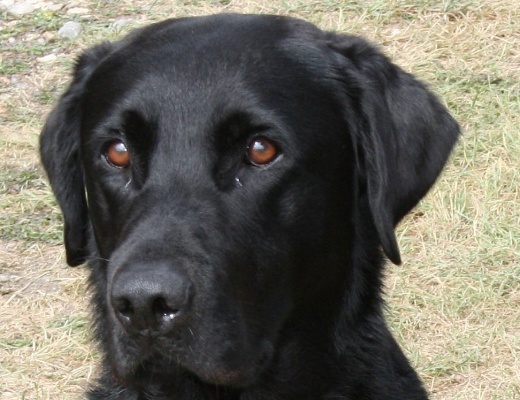 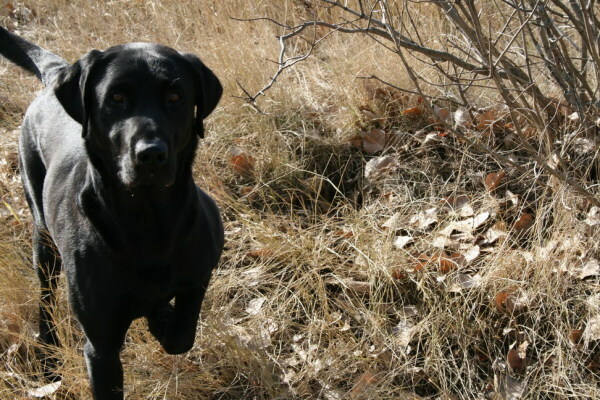 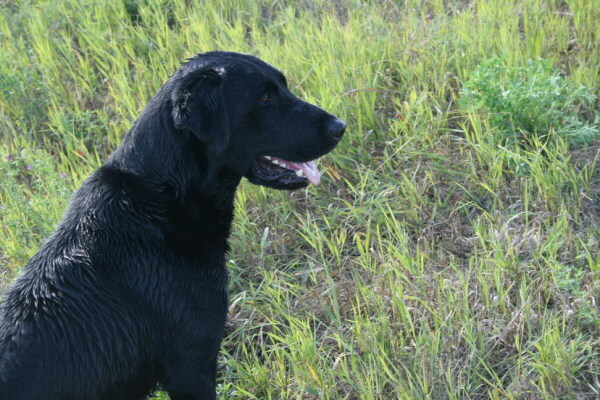 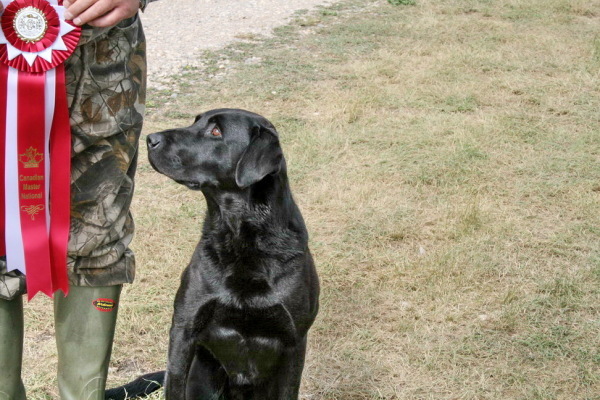 Hawk is a high drive male who "lives" to retrieve. 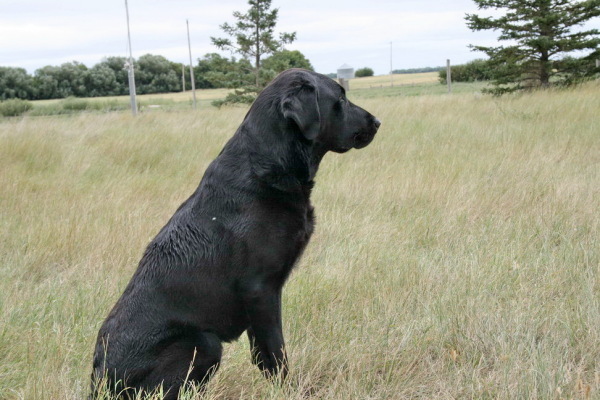 Born at Prairiestorm Kennel, Hawk stood out as a very young puppy with his desire to retrieve, his willingness to work and his tenacity. 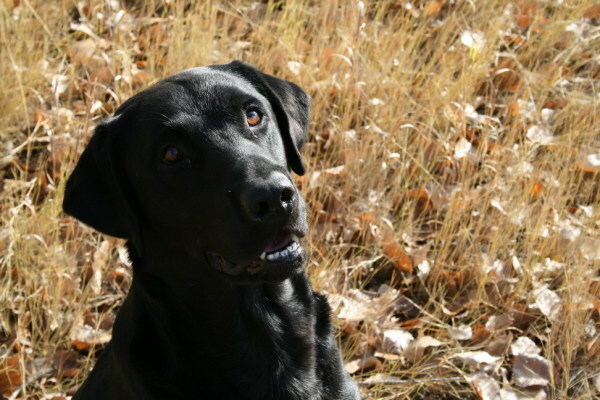 He loves people and wants to greet everyone he meets by bringing them a stick, a toy, or whatever else he can find lying around in the hope that they might play fetch with him. 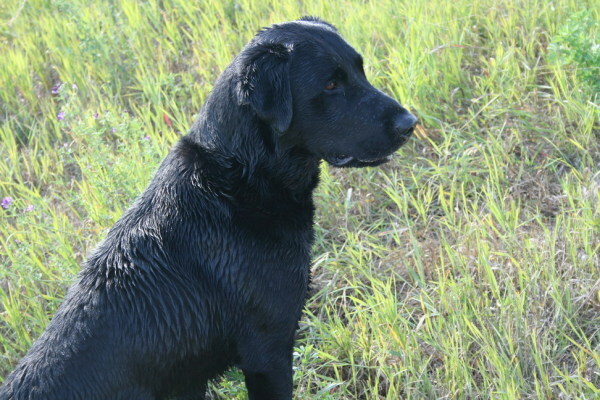 In the field, Hawk is very athletic, a good marker, and an excellent swimmer with a splash water entry. 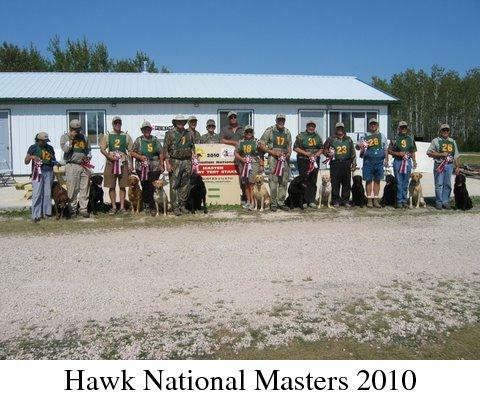 Hawk has his National Master Hunter title, Grand Master Hunter title, Master Hunter title, Working Certificate Excellent titles in field work and his Obedience Trial Championship in competition obedience. 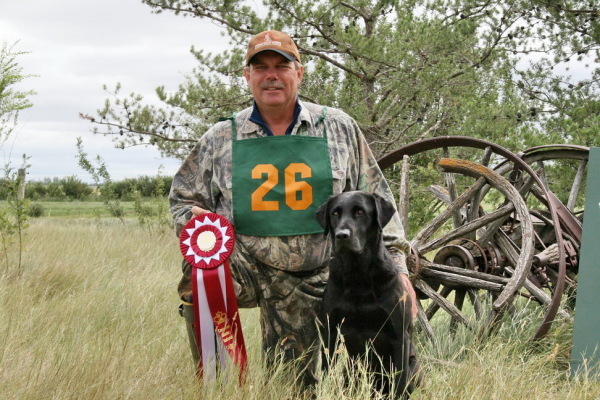 He went 5 for 5 in Master Hunter test passes to finish his Master Hunter title. 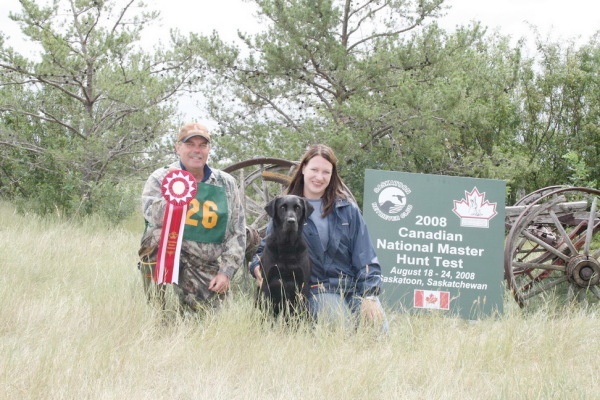 He also completed a tough week in the National Master Hunt Test competition in summer 2008 to obtain his National Master Hunter title (an impressive feat for a 3 year old dog). 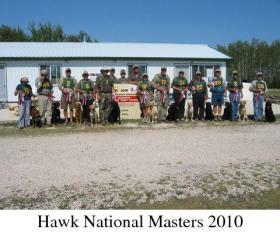 During the summers of 2009 and 2010, Hawk passed 10 out of 10 Master Hunt Tests to complete his Grand Master Hunter title. 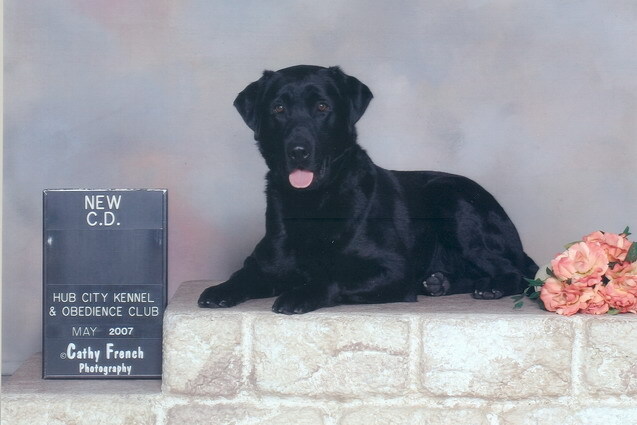 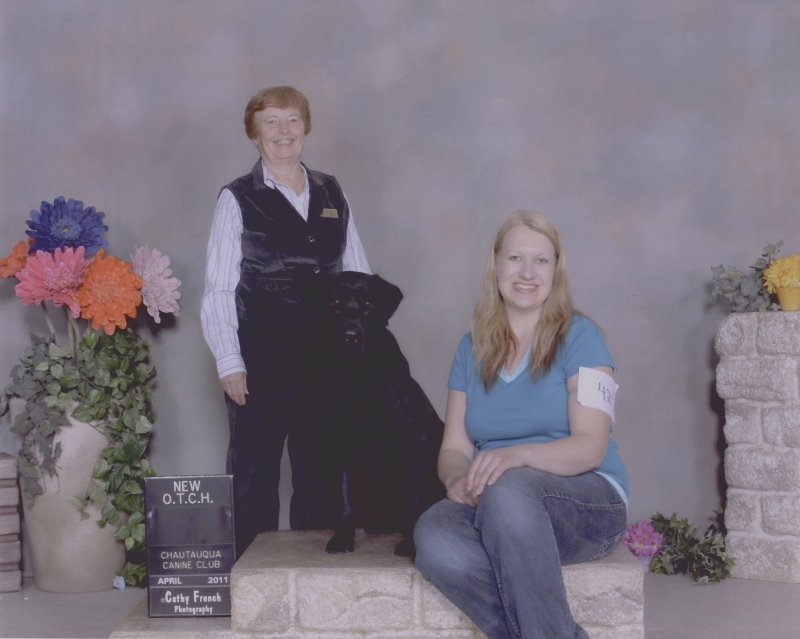 Hawk completed his Obedience Trial Championship (OTCH) in the spring of 2011. 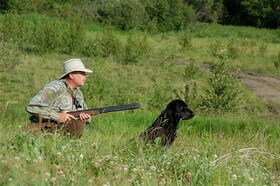 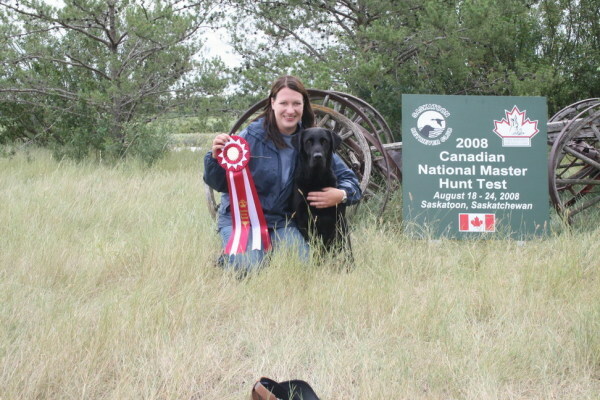 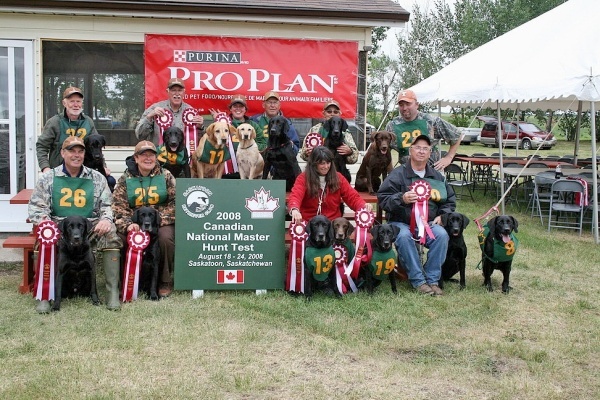 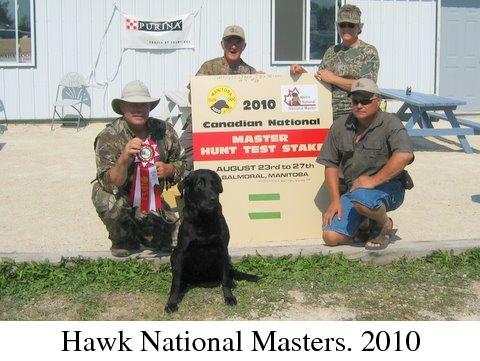 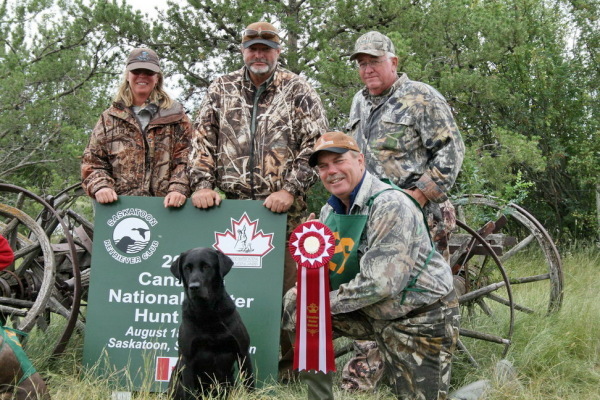 In the Summer of 2010 Hawk competed at the National Master Hunt tests in Winnipeg and became a 2-time National Master Hunter after completing a tough week of tests and being one of only 12 finalists. 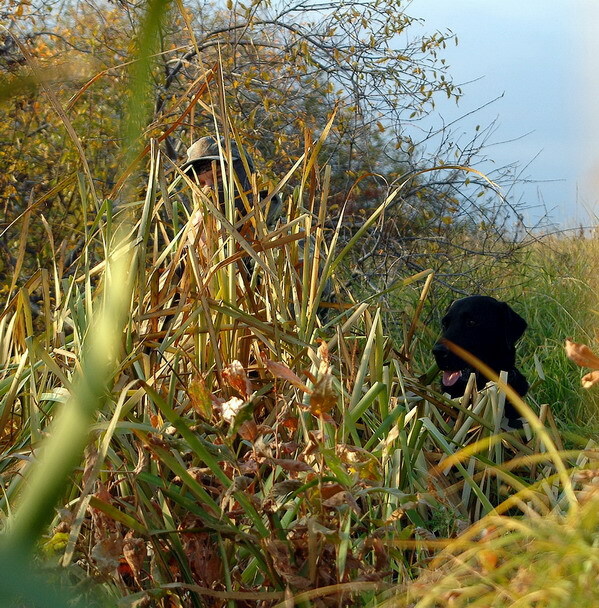 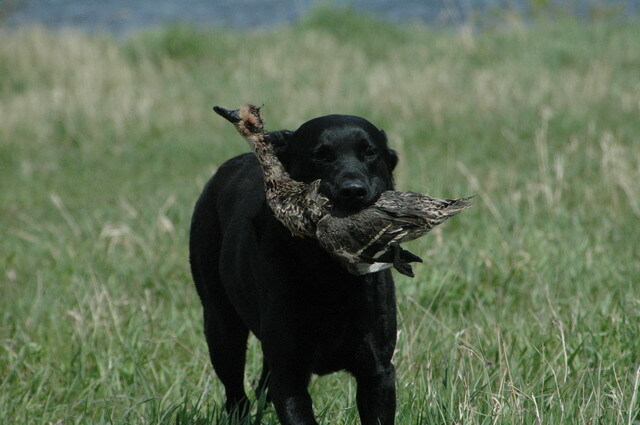 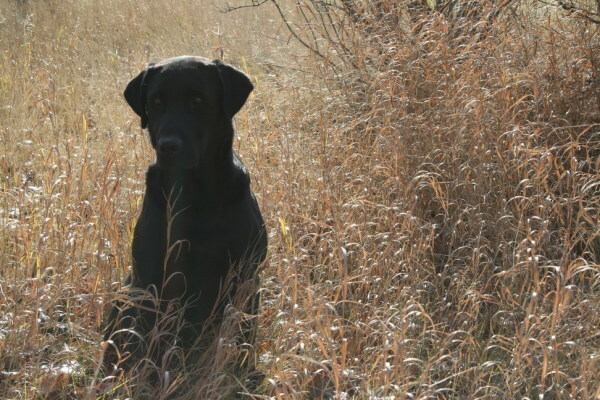 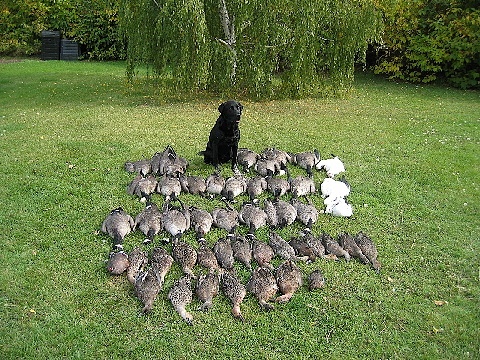 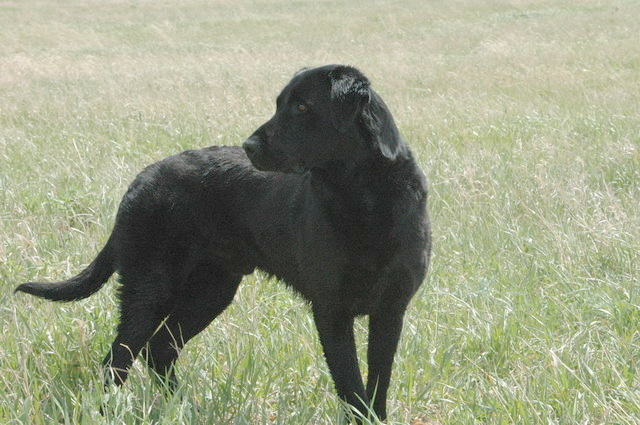 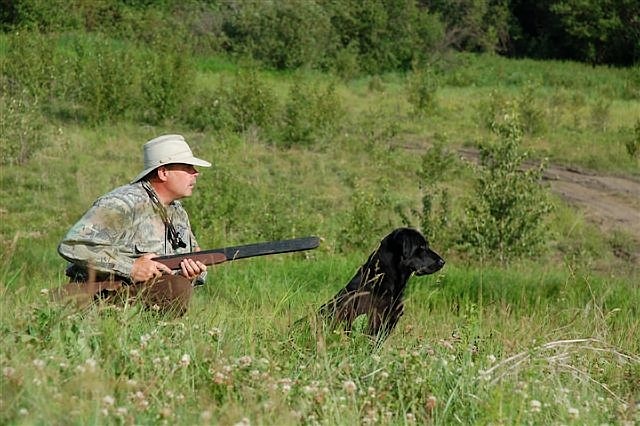 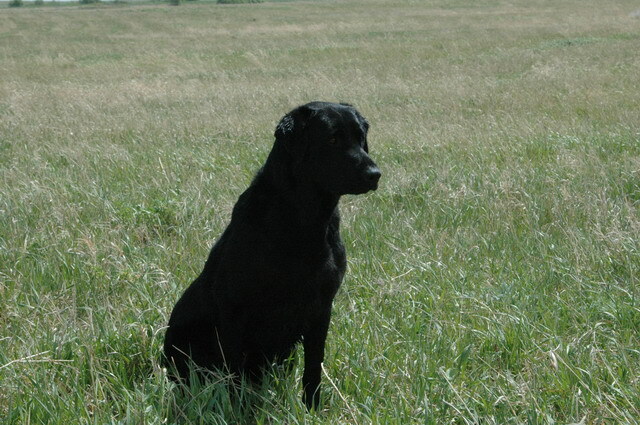 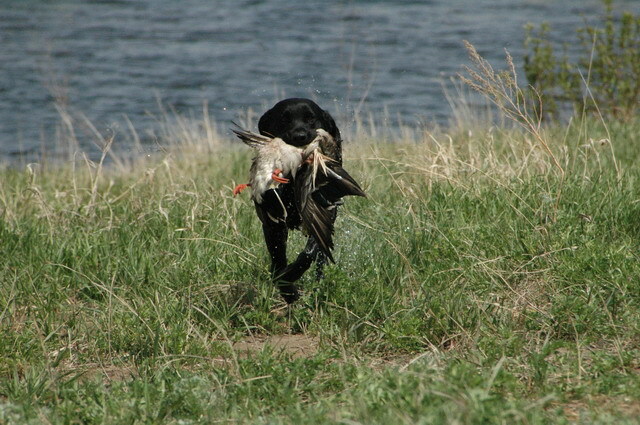 Each fall Hawk hunts both waterfowl and upland game and has proven to be an exceptional hunting dog. 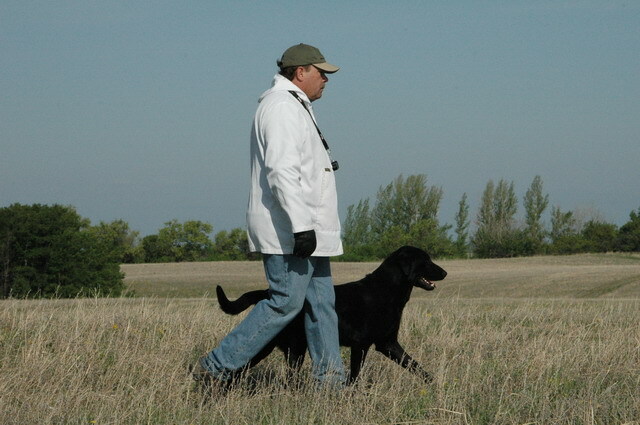 Hawk is offered at stud to approved females (He carries yellow).